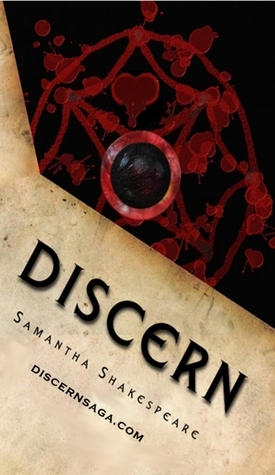 A quick and intriguing read, but, on the whole, I’m not quite sure what to make of Discern. I picked it up a while ago as a free book from Amazon Kindle. It was sitting on my to-read cloud shelf until just a few days ago when I was admittedly pulled in to the story. We walk into the scene much as narrator and main character Haley walks in on her fiance with another woman. The opening is really attention grabbing and I was compelled to continue the story. Haley makes an exit from Virginia and returns to her hometown of Boulder, Colorado, a place she left due to the painful memories of her mother’s recent death. Now, emotionally wounded and kind of frozen in place, Haley enrolls in the local collage to continue her education (she had previously attended two years in California) and meets handsome Andrew . . . who just so happens to be her history teacher. The relationship between Haley and Andrew is very reminiscent of something out of Twilight . . . a lot of “I know we shouldn’ts” and “we just can’t be together” and “I know he says he loves me, but I’m just not convinced of it.” Andrew isn’t a vampire, but neither is he human. He falls in love with Haley, who plays the role of damsel predictably. As they pair spend more and more time together, it becomes apparent that there’s much more to Andrew than meets the eye – and only Haley can discern it (ha! see what I did there?). Discern follows a lot of similar plot pathways as other paranormal young adult romances; the man who is god-like his appearance falling for the seemingly ordinary young woman; the friend who wants to be more with the heroine, igniting the jealousy of the hero; the powerful and dangerous aspect overshadowing the potential romance; the role of over-protective hero who is thwarted by the heroine trying to prove that she can, in fact, hold her own. I can’t say that I didn’t enjoy the book. It’s well-set and the characters are rounded and realistic. But, as one other review I have seen noted, it seems that there’s a general lack of editing. A lot of the scenes seemed replayed and the dialogue repetitive. There’s a part of me that it curious to see how the story continues, but I’m not sure that I’m fully sold on three additional books. Maybe I’ll shelve the thought for the time being and see how I feel in time. It just could be that Haley and Andrew’s story sticks around in my mind and will pull me into the second book. Overall, I give it 2.5/5 stars.